Yes, there's been a bit of hush-hushed mention of this project in the past but we can now reveal the facts. 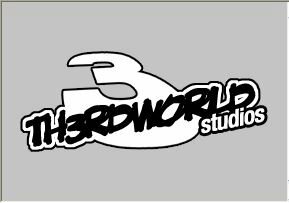 Leah and I have signed up to do an 11 page story for the forthcoming Th3rd World Studios: Space Doubles series. Our artist on the project is going to be the very talented Mr. Adam Geen and we'll be sharing the issue (out around June 2006 if all goes well) with Trigger writer Jason Hall. http://www.deviantart.com/ (not as bad as it sounds). there are loads of cool "comic" artists on there (i'm not one). Just thought ya two would like it (if ye aint heard if it). There is a lot of kak on there put if ye dig there some amazing stuff. Yeah, it's a very cool site. Lots of good work going on there.